Here are a few of our favorite books!! Tourette Canada publishes this book for use in the classroom as well as throughout the school. Teachers, assistants, administrators and any other school staff that come in contact with a child who has TS will benefit from this book. This handbook was written to help dispel the myths in dealing with exceptional children's challenging behaviours. It guides the reader through the process of change by using specific strategies in dealing with situations and creating a more successful school experience for all parties. 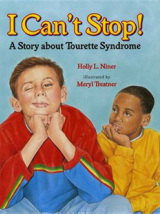 Order this book by either contacting our chapter or through our national office at www.tourette.ca. This resource covers everything from diagnosis to getting a driver’s license and going to school. Readers have called it the ultimate guide to Tourette Syndrome for all things related to the family. Written by experts, volunteers, and families, this comprehensive handbook is sure help you find answers to all your questions about TS. It’s no wonder that the Family Handbook is a Tourette Canada bestseller. One day Nathan starts blinking--a lot. It bothers his parents and his sister. After a while the blinking stops, but then Nathan starts sniffing. A doctor explains that Nathan''s movements are called tics. These beautifully illustrated and fun-to-read storybooks simplify and normalize complicated childhood conditions, like Tourette Syndrome. When read aloud, other children can identify why a peer may be treated differently and begin to empathize with them. In addition, children whose conditions set them apart as being different begin to feel accepted and safe. Each book includes a Kids' Quiz to reinforce new information and Ten Tips for Teachers to provide additional facts and ideas for teacher use. In Taking Tourette Syndrome to School, Megan's story helps children understand that her tics are not something she can control, but are part of her life. Adam tells this story from a child's viewpoint, how it feels to have the symptoms of TS when no one, including the author, knew why he was jerking, making noises and having temper tantrums. Adam relates the problems of getting a diagnosis, school problems, the side effects he had with some of the medications, and how he has now come to terms with his disorder. It is richly illustrated with pictures drawn by Adam to help demonstrate his feelings and those of the people around him. Hi, I'm Adam is written for children ages 4 to 14, whether they have TS or not. If your children have been diagnosed as having Tourette syndrome, this book will help them realize they are not alone. Adam has written about his frustrations, fears and embarrassments, as well as his successes. He has a simple message for others, "learn about what you have, then teach others about Tourette syndrome." If you know a child that has tics, temper tantrums, unreasonable fears, or problems dealing with school, you will find this a reassuring story. Ticcing Thomas is the World's Fastest Arm Flapper. Thomas is the terrific story of a boy with Tourette Syndrome. Thomas explains how Tourette Syndrome isn't just about having a tic. Join Thomas on his journey and learn about Tourette Syndrome. Ticcing Thomas is part of the WE ARE POWERFUL children's book series. Anxious Annie is the World's Greatest Thinker. Annie is the heartwarming story of a girl who has anxiety and obsessive compulsive disorder and who still believes she's awesome! Join Annie as she shares the challenges she lives with both at home and at school. Annie is part of the WE ARE POWERFUL children's book series. Eager Eddy is the World's Most Active Dude. Eddy is the exciting story of a boy with Attention Deficit Hyperactivity Disorder who takes the reader along on his journey of endless energy at home and at school. Eddy is part of the WE ARE POWERFUL children's book series. Daydreaming Dakota is the World's Greatest Daydreamer. Dakota is the inspiring story of a girl with Attention Deficit Disorder who shares with us the challenges she faces when she daydreams about travelling the world. Come read Dakota's fascinating story. Dakota is part of the WE ARE POWERFUL children's book series. Sad Sad Seth is the World's Greatest Writer. Seth is the touching story of a boy who suffers from depression and finds comfort in telling and writing stories. Join Seth on his journey where he describes his challenges at home and at school. Seth is part of the WE ARE POWERFUL children's book series. A marvelous story of three heroes - Adam, Chris (both have Tourette syndrome), and Matt (afflicted with cerebral palsy). Constantly taunted by bullies , the boys find a marble full of magic powers that are nearly impossible to control. They accidentally aim a magical spell at the bullies, and ... the adventure begins. Humorous and delightful, this fantasy will take you from laughter to tears and happily back to laughter again every time you read it. Exciting reading for all ages, and a must for those who have been diagnosed with Tourette syndrome or other disabilities. But Brad Cohen's story is not one of self-pity. His unwavering determination and fiercely positive attitude conquered the difficulties he faced in school, in college, and while job hunting. Brad never stopped striving, and after twenty-four interviews, he landed his dream job: teaching grade school and nurturing all of his students as a positive, encouraging role model. When Jeff Matovic burst into the office of Dr. Robert Maciunas, he had very few options left. Matovic had suffered for years from Tourette Syndrome, his full-body spasms and outbursts getting progressively worse, to the point that he saw suicide as a viable option. Drugs, physical therapy, prayer—nothing was working. But Dr. Maciunas was a pioneer in deep brain stimulation (DBS), a new therapy that had worked to correct other brain disorders. Could it fix Matovic’s Tourette’s? All Matovic had to do was convince Dr. Maciunas that he was a perfect candidate for the procedure. That, and have several electrical leads—a “brain pacemaker”—implanted into his skull. Author Jim Fussell is uniquely qualified to tell Matovic’s story—he suffers from Tourette Syndrome as well. Fussell’s job as a feature writer for the Kansas City Star brought him in contact with Oprah Winfrey, who first told him about Jeff Matovic, the “Miracle Man.” As Fussell learned about Matovic’s remarkable journey, he vowed to seek him out. This is their story. In the opening pages of On Fire, fourteen-year-old Matti Iverly tells us, “At school they called me Tourette’s Girl, like I came out of a phone booth in a costume and made funny noises for their entertainment.” She goes on to point out that she’s really a serious person who’s been waiting for a serious purpose. When a young man with amnesia stumbles into her wildfire- threatened mountain village, she thinks she’s found that purpose. She’ll save his life and restore his memory. Dan, she decided to call the stranger, since he can’t or won’t remember his own name. And he does seem to be making progress. Then he disappears, just before fire forces the evacuation of her village. Dan then takes up the narrative. And the world he describes is darker than anything Matti could have imagined. It’s a place full of ghosts and shadows, and danger. There is mystery at the heart of this novel and a plot laid down in serpentine twists and turns. Reading it, we become aware that we can never know exactly what life is like for anyone else. A New York Times Notable Book and the March 2001 selection of Oprah's Book Club® !Icy Sparks is the sad, funny and transcendent tale of a young girl growing up in the mountains of Eastern Kentucky during the 1950’s. Gwyn Hyman Rubio’s beautifully written first novel revolves around Icy Sparks, an unforgettable heroine in the tradition of Scout in To Kill a Mockingbird or Will Treed in Cold Sassy Tree. At the age of ten, Icy, a bright, curious child orphaned as a baby but raised by adoring grandparents, begins to have strange experiences. Try as she might, her "secrets"—verbal croaks, groans, and physical spasms—keep afflicting her. As an adult, she will find out she has Tourette’s Syndrome, a rare neurological disorder, but for years her behavior is the source of mystery, confusion, and deep humiliation. Nix your Tics: Eliminate unwanted tic symptoms. A how-to guide for young people. Dr. B. Duncan McKinlay, Psychologist (‘Dr. Dunc’) has Tourette Syndrome. That means he’s been living with both motor tics (movements he has a hard time stopping) and phonic tics (noises he has a hard time stopping) for most of his life. He knows firsthand how annoying, embarrassing, misunderstood, painful, and disruptive tics can be. For years, he’s been educating people all around the world by means of his presentations & Website, and through appearances on television, in magazines, and on film. Now, in “Nix Your Tics!”, he wants to share with you a little-known but well-established, evidence-based practice* he uses to manage tic symptoms in both himself and in his patients. Deciding whether to give your child medication for an emotional or behavioral problem is one of the toughest choices a parent can face. Will medication really help? How long will it be needed? The doctor may say it's perfectly safe--but what about the news stories about overuse and risks? From experienced child psychiatrist Dr. Timothy Wilens, this bestselling guide has already empowered many tens of thousands of parents to become active, informed managers of their children's care. Dr. Wilens explains how medications work; their impact on kids' emotions, personality, school performance, and health; the risks and benefits of widely used antidepressants; and much more. There's nothing more frustrating than watching your bright, talented son or daughter struggle with everyday tasks like finishing homework, putting away toys, or following instructions at school. Your "smart but scattered" 4- to 13-year-old might also have trouble coping with disappointment or managing anger. Drs. Peg Dawson and Richard Guare have great news: there's a lot you can do to help. The latest research in child development shows that many kids who have the brain and heart to succeed lack or lag behind in crucial "executive skills"--the fundamental habits of mind required for getting organized, staying focused, and controlling impulses and emotions. Learn easy-to-follow steps to identify your child's strengths and weaknesses, use activities and techniques proven to boost specific skills, and problem-solve daily routines. Helpful worksheets and forms can be downloaded and printed in a convenient 8 1/2" x 11" size. Small changes can add up to big improvements--this empowering book shows how. If you're the parent of a "smart but scattered" teen, trying to help him or her grow into a self-sufficient, responsible adult may feel like a never-ending battle. Now you have an alternative to micromanaging, cajoling, or ineffective punishments. This positive guide provides a science-based program for promoting teens' independence by building their executive skills--the fundamental brain-based abilities needed to get organized, stay focused, and control impulses and emotions. Executive skills experts Drs. Richard Guare and Peg Dawson are joined by Colin Guare, a young adult who has successfully faced these issues himself. Learn step-by-step strategies to help your teen live up to his or her potential now and in the future--while making your relationship stronger. Challenging Kids, Challenged Teachers is an educator's go-to source for creating a supportive environment to successfully teach children with multiple neurological disorders including Tourette's Syndrome, OCD, ADHD, LD, Nonverbal Learning Disability, Pervasive Developmental Disorders, Asperger's Syndrome, Anxiety Disorders, Depression, Executive Dysfunction, Sensory Processing Disorder, Pediatric Autoimmune Neuropsychiatric Disorder Associated with Strep (PANDAS), Bipolar Disorder, "Storms" or "Rages", Oppositional Defiant Disorder, and Sleep Problems. Parents, school psychologists, and social workers will also find this book essential reading. The wealth of practical tools and strategies discussed in this book are founded on the authors' considerable experience treating children with neurological disorders in their private practices and conducting training workshops for teachers, as well as parenting their own children with multiple diagnoses. Full of charts, graphs, lists, quotes, and vignettes, this well-organized resource makes it easy for busy teachers to find the information they need. What To Do When Your Brain Gets Stuck guides children and their parents through the cognitive-behavioral techniques used to treat Obsessive Compulsive Disorder. Revealing OCD in a whole new light, this interactive self-help book turns kids into super-sleuths who can recognize OCD's tricks. Engaging examples, activities, and step-by-step instructions help children master the skills needed to break free from the sticky thoughts and urges of OCD, and live happier lives. This is the complete resource for educating, motivating, and empowering children to work toward change. "Guides children and their parents through cognitive-behavioral techniques used to treat negative thinking. Lively metaphors and illustrations help kids see life's hurdles in a new way, while drawing and writing activities help them master skills to get over those hurdles. And step-by-step instructions point the way toward becoming happier, more positive kids. This interactive self-help book is the complete resource for educating, motivating, and empowering children to work toward change." There are over one million children in the US who suffer from Obsessive-Compulsive Disorder. These children often have uncontrollable worries and engage in seemingly senseless rituals. Parents and school professionals often feel helpless and frustrated as they struggle to understand and help the child stop the bizarre doubts and habits that take over the child's mind and life. Now, there is hope and help.Dr. Aureen Wagner brings you the latest scientific advances in the treatment of this beguiling disorder along with her many years of experience in treating children and teenagers. Using the metaphor of the Worry Hill, for which she has received international recognition, Dr. Wagner presents a powerful step-by-step approach that countless children have used successfully to triumph over OCD. Her skill, compassion and expert guidance will provide new hope, energy and resolve to help children and their caregivers conquer OCD. Designed to be used alone or with the children's integrated companion book: Up and Down the Worry Hill. No one wants to get rid of obsessive-compulsive disorder more than someone who has it. That's why Talking Back to OCD puts kids and teens in charge. Dr. John March's eight-step program has already helped thousands of young people show the disorder that it doesn't call the shots--they do. This uniquely designed volume is really two books in one. Each chapter begins with a section that helps young readers zero in on specific problems and develop skills they can use to tune out obsessions and resist compulsions. The pages that follow the instructions for kids and teens show their parents how to be supportive without getting in the way. After just a few months' practice, your family will get back to spending time on things that matter, instead of following pointless orders from the illness. The next time OCD butts in, you'll be prepared to boss back--and show an unwelcome visitor to the door. Why our kids with behavioral challenges are falling through the cracks and how we can help them. Here, Dr. Ross W. Greene presents an enlightened, clear-cut, and practical alternative. Relying on research from the neurosciences, Dr. Greene offers a new conceptual framework for understanding the difficulties of kids with behavioral challenges and explains why traditional discipline is't effective at addressing these difficulties. Emphasizing the revolutionarily simple and positive notion that kids do well if they can, he persuasively argues that kids with behavioral challenges are not attention-seeking, manipulative, limit-testing, coercive, or unmotivated, but that they lack the skills to behave adaptively. And when adults recognize the true factors underlying difficult behavior and teach kids the skills in increments they can handle, the results are astounding: The kids overcome their obstacles; the frustration of teachers, parents, and classmates diminishes; and the well-being and learning of all students are enhanced. A diagnosis of a child's special need can be extremely difficult for parents. However, every day, these children accomplish small victories and make great strides that improve their own lives and brighten their parent's days. This collection brings to life fifty stories of parents who have struggled with a child?s diagnosis only to embrace the differences that make their children that much more special and even more loved. From the fourth-grade girl who never gets invited to a birthday party because classmates think she’s “weird” to the geek who is terrific at math but is failing every other subject, quirky children are different from other kids in ways that they–and their parents–have a hard time understanding. They present a host of challenges that standard parenting books fail to address. Now, in Quirky Kids, seasoned pediatricians Perri Klass and Eileen Costello provide the expert guidance that families with quirky children so desperately need. Klass and Costello illuminate the confusing list of terms often applied to quirky children–from Asperger’s syndrome and nonverbal learning disability to obsessive-compulsive behavior and sensory integration dysfunction. The authors also discuss various therapy options, coping strategies, and available medications. Most of all, they will help quirky kids lead rich, fulfilling lives at home, at school, even on the playground. *Make sense of your child's symptoms, *Get an accurate diagnosis. *Work with school and health care professionals to get needed support. *Learn parenting techniques that promote better behavior. My Book Full of Emotions: How to Control and React to the SIZE of Your Emotions This book will help teach children to identify, access the intensity of and respond appropriately to their emotions. This book is fully interactive and uses a dry-erase marker so that unique situations and solutions can be added and changed with a wipe of a paper towel, as the child masters a skill and grows. Also included is a Communication Pad for tracking and sharing information between home and school. All Dogs Have ADHD takes an inspiring and affectionate look at Attention Deficit Hyperactivity Disorder (ADHD), using images and ideas from the canine world to explore a variety of traits that will be instantly recognisable to those who are familiar with ADHD. Following the style of the award-winning All Cats Have Asperger Syndrome, charming colour photographs of dogs bring to life familiar ADHD characteristics such as being restless and excitable, getting easily distracted, and acting on impulse. This delightful book combines humour with understanding to reflect the difficulties and joys of raising a child with ADHD and celebrates what it means to be considered `different'. 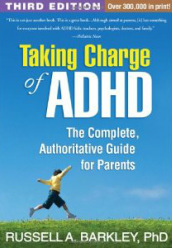 This absorbing and enjoyable book takes a refreshing approach to understanding ADHD. Most children are afraid of the dark. Some fear monsters under the bed. But at least ten percent of children have excessive fears and worries—phobias, separation anxiety, panic attacks, social anxiety, or obsessive-compulsive disorder—that can hold them back and keep them from fully enjoying childhood. If your child suffers from any of these forms of anxiety, the program in this book offers practical, scientifically proven tools that can help. 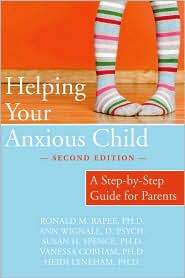 Now in its second edition, ' Helping Your Anxious Child ' has been expanded and updated to include the latest research and techniques for managing child anxiety. The book offers proven effective skills based in cognitive behavioral therapy (CBT) to aid you in helping your child overcome intense fears and worries. You'll also find out how to relieve your child's anxious feelings while parenting with compassion. Inside, you will learn to: • Help your child practice “detective thinking" to recognize irrational worries • What to do when your child becomes frightened • How to gently and gradually expose your child to challenging situations • Help your child learn important social skills 'This book has been awarded The Association for Behavioral and Cognitive Therapies Self-Help Seal of Merit—an award bestowed on outstanding self-help books that are consistent with cognitive behavioral therapy (CBT) principles and that incorporate scientifically tested strategies for overcoming mental health difficulties. As a parent, you already know that your child has many gifts. What you may not know is that attention-deficit hyperactivity disorder (ADHD) related symptoms—the very qualities that lead him or her to act out and distract others—may be among them. 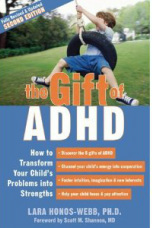 This second edition of ' The Gift of ADHD ' includes compelling new research indicating that the impulses that lead your child to act exuberantly may correspond with unusual levels of creativity and a heightened capacity for insight into the feelings and emotions of others. Could it be that ADHD is not a hindrance, but an asset in our fast-paced digital age? ADHD expert Lara Honos-Webb presents the evidence for this revolutionary concept and explains how you can help your child develop control over inattentive, hyperactive behavior and enhance the five gifts of ADHD: creativity, attunement to nature, interpersonal intuition, energetic enthusiasm, and emotional sensitivity. Filled with easy skill-building activities you and your child can do together, this book will help your child transform problematic symptoms into strengths, then build theself-esteem they need to let those gifts shine. In this elegant approach to the often-elusive subject of sensory integration, Carol Kranowitz, M.A. (author of the best-selling book The Out-of-Sync Child) and expert occupational therapists Stacey Szklut, MS, OTR/L, Lynn Balzer-Martin, PhD, OTR, Jane Koomar, PhD, OTR/L, FAOTA, Elizabeth Haber, MS, OTR/L, and Deanna Iris Sava, MS, OTR/L, have assembled an extensive and easy-to-use set of checklists and other tools that will be invaluable to every teacher (and parent) who has children with sensory processing challenges. You’ll find tried-and-true instructions for developing fine-motor, “organizing,” and motor-planning skills, and for providing an appropriate “Sensory Diet” that will benefit all your students. Checklists help you identify students who have difficulty processing sensory information. With up to 20% of the students in any given classroom affected by Sensory Processing Disorder, Answers to Questions is an invaluable resource for teachers of preschool through high school. Tics are a fact of life for kids with Tourette Syndrome (TS) and related disorders. And for most kids, the symptoms of their disorder aren't even the most frustrating part-others' reactions can make children feel anxious and extremely self-conscious. Coping with Tourette Syndrome includes forty activities to help kids with TS, obsessive compulsive disorder (OCD), or attention-deficit hyperactivity disorder (ADHD) understand, prepare for, and mask their tics. Kids will also learn how to best explain their tics to friends and curious strangers using humor, games, or brief scripts they have prepared. The activities in this workbook address managing TS and related disorders in specific situations, such as at school, at the movies, when out to dinner, on special occasions, when visiting friends for sleepovers or parties, when taking tests, and in places of worship. After completing these exercises, kids with TS will have all the tools they need to handle their tics with confidence and grace in any situation. Leading psychologists delve into the world and characters of Harry Potter in this revealing look at J. K. Rowling's constructed universe, using the characters and their puzzling situations to offer insight into real-world psychology. Designed to appeal to both fans of pop culture and students of psychology, this unique blend of scholarship and contemporary criticism consists of essays by professional psychologists hailing from schools and clinical practices throughout the world. Every major area of psychology is covered as the contributors tackle such heady questions as Is Harry a cranky adolescent or suffering from real post-traumatic-stress disorder? Is Voldemort evil incarnate or a misguided boy now twisted beyond recognition? and Is Snape treacherous or struggling for redemption?, revealing the fictional world's complex psychological brew. This handbook offers information and strategies for parents of children with special needs who want to be meaningfully involved in their children's education.This handbook emphasizes the diverse and changing learning needs of children with special needs. As well as offering support and encouragement to parents, the handbook describes services and activities for meeting children's diverse learning needs at school. It also provides suggestions for ways parents can support and enrich their children's learning. The handbook also includes information and strategies for helping children make successful transitions, for voicing parental concerns, and for staying informed. The Learning Team is a revision and expansion of the resource Partners During Changing Times (1996), a parent handbook developed by Alberta Learning and the College of Alberta School Superintendents. This handbook offers information and strategies that parents can use to nurture their child's learning and emotional well-being at home, in school, and in the community. The department collaborated with the Alberta Associations for Bright Children in the development of this handbook for parents of children who are gifted and talented. HERE ARE A FEW OF OUR FAVORITE DVD'S!! Children with Tourette's Syndrome discuss the challenges of living with Tourette's, a misunderstood and often stigmatizing condition. They demonstrate some of their tics, and talk about their lives with tics including embarrassing and isolating situations at school and among friends. Professionals and experts offer further information about Tourette's on the DVD. The documentary received the Emmy Award for Outstanding Children's Program, tying with the Disney Channel movie High School Musical. It was nominated for 2006 Emmy Awards in two categories: Outstanding Children's Program, and Outstanding Cinematography For Nonfiction Programming—Single-Camera Productions. The documentary also won a Clarion award from The Association for Women in Communications in the category "TV Children's Educational Program—Target Audiences ages 11 and up." It also won a Parents' Choice Award, a Voice Award from the Substance Abuse and Mental Health Services Administration (SAMHSA), and a Media Access Award, recognizing those who use their medium to increase public awareness and understanding. It was also nominated for a Directors Guild of America award for Outstanding Directorial Achievement in Children's Programs. The film tells a story of a 9 year old girl, Phoebe (Elle Fanning), with apparent Tourette syndrome. While she deals with being odd and insecure, her mother (Felicity Huffman) and father (Bill Pullman) are dealing with complexities in their relationship with each other and their challenging child. Her younger sister (Bailee Madison) feels neglected as Phoebe gains more attention. Thanks to his mother never giving up, Brad is a success story and shares his success with everyone around him. The CPRI Brake Shop: Leaky Brakes and What They Are, What they Aren't. 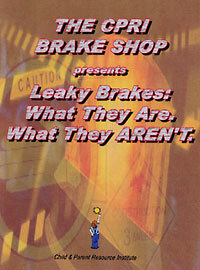 This 74-minute DVD features Dr. B. Duncan McKinlay, Psychologist for CPRI's Brake Shop, explaining Leaky Brakes: What They Are, What They Aren't.